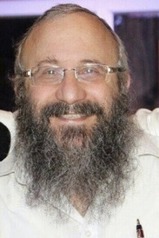 Mordechai Kedar talks about Jerusalem on al-Jazeera. Egyptian TV show for children explains that the "disgusting" Jews have no right to claim Jerusalem. How an Israeli killed the Palestinian "Mickey Mouse", named Farfour. Why your mama chose to become a suicide bomber. "Calling the West Bank occupied is not PC." Jerusalem to become "our" capital under Mursi’s rule, says Muslim cleric Safwat Hagazy at [pre-election] Brotherhood rally. UN cultural body’s resolution on Jerusalem akin to jihadist group’s destruction of Palmyra, says Yisrael Hasson. The director of the Israel Antiquities Authority on Wednesday slammed UNESCO for its resolution on Jerusalem holy sites, comparing the UN cultural body to Islamic State jihadists. “Around us, world heritage treasures are being destroyed… They murdered Syrian archaeologist Khaled al-Asaad, who tried to protect heritage,” Hasson said recalling the 82-year-old retired head of antiquities in Palmyra who was beheaded by IS militants last year. Dutch Member of Parliament Tunahan Kuzu – of Turkish descent – has refused to shake Israeli Prime Minister Binyamin Netanyahu’s hand as the latter greeted legislators on a diplomatic visit. Instead, Kuzu pointed to his palestinian flag lapel pin and placed his hands behind his back. What do you do if you do not like Israel, but have only one outlet for that dislike: expressing it in rhetoric and print? Well, if you are a Palestinian, you can always come up with your own terminology -- one that sheds negative light on Israel and anything that is associated with it. This is precisely the tack Palestinians have taken over the past few decades, inventing their own terms and phrases when talking about Israel. George Orwell, of course, saw through this behavior. For him, "language can also corrupt thought." The anti-Israel sentiments, delivered for decades by Palestinians, not only corrupt thought, but also incite people against Israel, by creating incendiary situations that are designed to burst into flames. 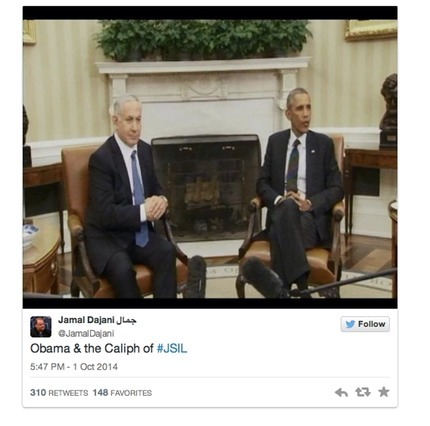 To be clear: this is not the familiar incitement in the Palestinian media that is discussed in international forums. This is a different color. This incitement demonizes Israel and Jews. In this narrative, Israel is evil, as well as alien to the Middle East. Orwell, in his wise remarks on language, did not mention the deceit of multiple tongues. But that deceit is deeply embedded in the Palestinian discourse on Israel. Political affiliations somewhat determine which terminology is employed by Palestinians with reference to Israel. Yet across affiliations, Palestinians employ extremely negative terms to discuss Israel. Until the signing of the Oslo Accords in 1993, the "moderate" Fatah faction, currently headed by President Mahmoud Abbas, referred to Israel, as its Palestinian brothers do today, as the "Zionist entity." That was before the PLO officially recognized Israel under the terms of the Oslo Accords. Back then, it was considered disgraceful and unacceptable to call Israel by its name, lest that be interpreted, God forbid, as recognition of Israel. 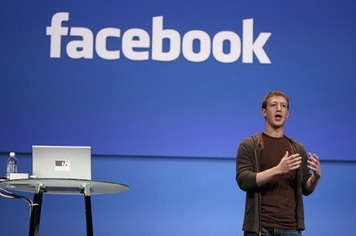 Top minister had said ‘monster’ company’s CEO, Zuckerberg, has blood of slain Israeli teen on his hands. Facebook on Saturday night dismissed an Israeli government claim that its founder and CEO, Mark Zuckerberg, had “some of the blood” of an Israeli terror victim on his hands, because it did not censor Palestinian incitement and hate speech. In a Hebrew-language statement, the company asserted that it works “on a regular basis with security organizations and policy makers throughout the world, including in Israel, in order to ensure that people know how to use Facebook safely. 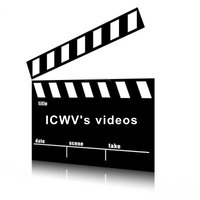 “There is no room on our platform for content that encourages violence, direct threats, terror or verbal abuse. We have an array of clear-cut community guidelines meant to help people understand what is permitted on Facebook, and we call on people to make use of our reporting tools if they come across content that they believe violates these guidelines, so that we can evaluate each incident and take swift action,” Facebook said. It was responding to a top Israeli minister who called Facebook a “monster” and accused Zuckerberg of allowing Palestinian incitement to run rampant on the social network. Public Security Minister Gilad Erdan (Likud) also charged that Facebook hinders Israeli police efforts to catch terrorists, and declared that Zuckerberg has “some of the blood” of slain Israel teenager Hallel Yaffa Ariel on his hands. 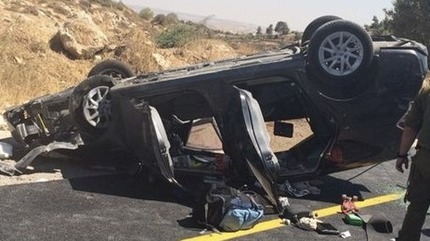 In the moments after the Friday drive-by shooting attack that killed Rabbi Miki Mark outside the West Bank city of Hebron, a local Palestinian couple helped the surviving members of his family escape the overturned vehicle and administered first aid until first responders arrived at the scene. After he managed to pry one of the doors open, the man, who wasn’t named in the report, said he pulled 14-year-old Tehila from the wrecked car. He said his wife, who is a medical doctor, worked to stanch the bleeding from the teen’s abdominal wound while he called an ambulance to the scene. “She was telling them in English, ‘Do not be afraid, we are here to help you,'” he recalled. The man said he then pulled 15-year-old Pedaya out of the car, and attempted to calm him. “I took the boy and I hugged him, I gave him some water and applied iodine, and just kept telling him that everything was going to be fine,” he said. “It doesn’t matter to me if it was an accident or a terror attack, it’s irrelevant. These are people, children, who need help, and if I can help, I will help them. “The girl told me, ‘God sent an Arab to help us,'” he added. 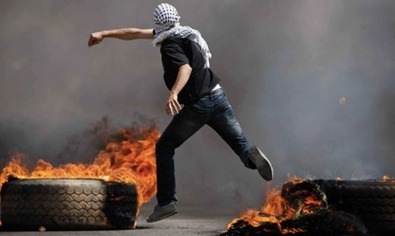 Recently, more and more young Palestinian men, women and children have left their homes and gone off to stab Israelis. 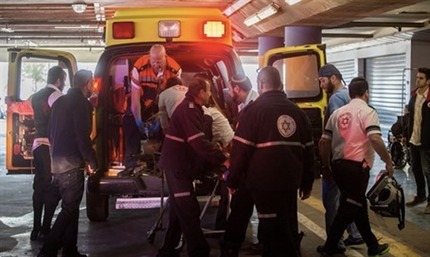 Palestinian Authority (PA) officials claim our children make this decision independently and that no one sends them to carry out terrorist attacks. But in reality, every Palestinian knows that behind these supposedly "independent," "spontaneous" attacks there is organized, deliberate incitement, some from politicians and some from fatwas [religious opinions] issued by clerics. One such cleric, Sheikh Yusuf al-Qaradawi, sits far away in the safety of Qatar and sends Palestinian children to their deaths. The mosques and schools in the Palestinian Authority and the Gaza Strip, as well as their social media, often unashamedly exploit Palestinian children – perhaps emotionally a bit lost, and who long for admiration for a grand, "heroic act" in a grand romantic "cause." Tragically, as Israeli forces often do not let such attackers get away, many murders these children commit also end up as needless "passive" suicides. Our perverted leaders do not only encourage young Palestinians to commit murder. 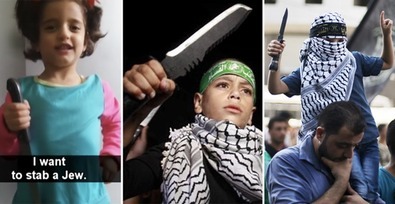 When these children are killed in the act of committing murder, both the PA and Hamas claim that that Israelis "executed" them. They then call our kids martyrs (shuhadaa), glorify them and turn them into role models for other loser kids. Then they pay their families enormous bonuses. Archaeologists deciphered a seal impression bearing the name of the 8th century BCE biblical King Hezekiah recently found during excavations next to the Old City of Jerusalem, the Hebrew University announced Wednesday. A seal impression of King Hezekiah unearthed at the foot of the Southern Wall of the Temple Mount. Image credit: Ouria Tadmor / Eilat Mazar. 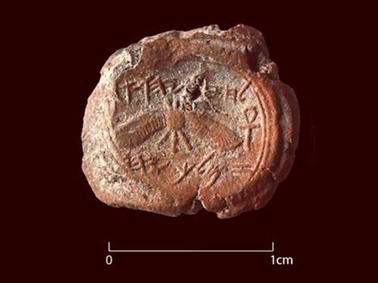 The bulla, a stamp seal impression, was one of dozens found in recent years in a royal building in the Ophel, excavation leader Dr. Eilat Mazar said at a press conference held at the Mount Scopus campus, and bears the name “Hezekiah [son of] Ahaz, king of Judah,” an 8th century Judean ruler. The bulla in question used to seal a papyrus scroll and an impression of the fibers was preserved on the inverse, Mazar said, suggesting the seal once enclosed a document signed by the king himself. During a month of renewed Israeli-Palestinian violence, one hummus restaurant is paying Jews and Arabs to sit down together for a meal. "Are you afraid of Arabs? Are you afraid of Jews? By us there are no Arabs, but also no Jews. We have human beings! 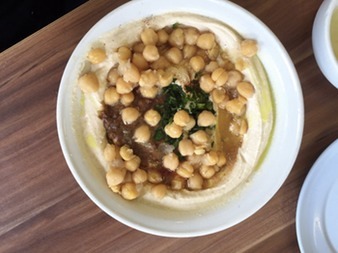 And real excellent Arab hummus! 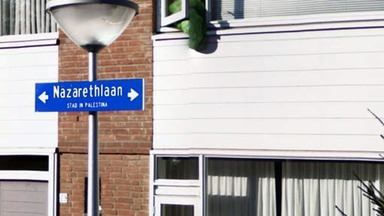 And great Jewish falafel!" The sad old pattern of embracing the indictments of haters. The Iran deal, by President Obama’s own admission, opens the path to Iran’s acquiring a nuclear arsenal, even as Iranian leaders continue to assert their determination to annihilate Israel. 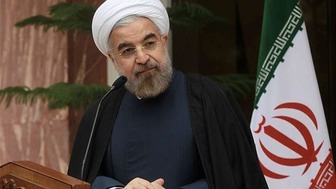 While the President has claimed at times that the agreement will prevent Iran from ever developing nuclear weapons, he has on other occasions acknowledged that, in fact, after fifteen years Iran will have a clear, short path to doing so. Israelis across the political spectrum oppose the deal, fearful of the existential threat it represents, and most American Jews share their opposition. A significant majority of non-Jewish Americans do as well, both out of sympathy for Israel and out of fear of the apocalyptic Iranian theocrats gaining the ability to act on their threats against America as well as Israel. But while objections to his Iran deal go far beyond Israel and elements of the American Jewish community, President Obama insists Israel’s is the only government opposing the agreement - an outright lie, given, for example, the clear if less publicly and forcefully articulated opposition of such countries as Saudi Arabia, Egypt, and the United Arab Emirates. He has also slandered American Jewish objectors with suggestions of dual loyalty, of mounting an expensive, unpatriotic campaign against the deal and in defiance of America’s best interests and of trying to push the nation to war. These hoary anti-Jewish canards have led many to call out the President for dabbling in anti-Semitism. Air France on Wednesday responded to popular backlash and put Israel back on its in-flight maps, after shocked passengers documented how the maps wiped Israel out even while listing “West Bank” and “Gaza Strip” - areas that don't even have flight service. “We have been able to confirm that the changes we made to our service were deployed on the Air France aircraft on or about August 4th,” the company released in a response to Simon Wiesenthal Center's direct complaint. 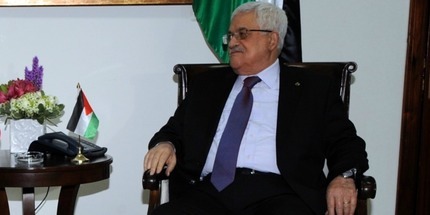 There are two main reasons why Palestinians will not sign a real and meaningful peace agreement with Israel -- at least not in the foreseeable future. The first is a total lack of education for peace. The second is related to the absence of a leader who is authorized -- or has the guts -- to embark on such a risky mission. Americans and Europeans who keep talking about the need to revive the stalled peace process in the Middle East continue to ignore these two factors. 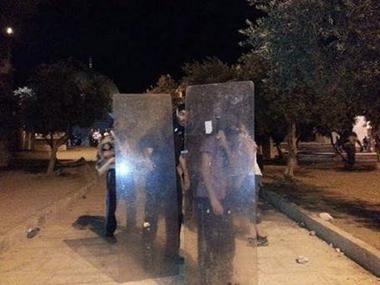 They continue to insist that peace is still possible and that the ball is in Israel's court. The Americans and Europeans fail to acknowledge that in order to achieve peace, the leaders must prepare their people for compromise and tolerance. In fact, it is inaccurate to say merely that Palestinian leaders have failed to prepare their people for peace with Israel. Instead, one should say that the Palestinian leadership has long been inciting its people against Israel to a point where it has become almost impossible to talk about any form of compromise between Israelis and Palestinians. The world’s oldest complete copy of the Ten Commandments is going on rare display at Israel’s leading museum in an exhibit tracing civilization’s most pivotal moments. 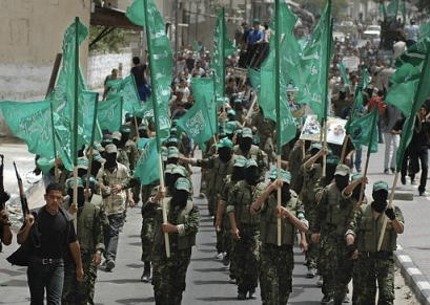 Judging by the orderly rows of hundreds of young wanna­bes lined up in crisp military fashion at their graduation ceremony here Thursday, the armed wing of the Islamist movement Hamas will have plenty of eager recruits this year. More than 17,000 fresh-faced teenagers and young men, ages 15 to 21, mustered at a dozen camps over the past week in the Gaza Strip to climb ropes, practice close-order drills and fire Kalashnikov rifles, all of them pledging to defend the coastal enclave and ready to fight the next war against their Zionist enemies. They also learned how to perform first aid and throw a grenade. They watched — but did not touch — as instructors showed them the basics of improvised explosive devices. 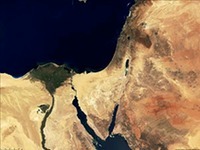 Publisher promises to pulp all copies, but offending Middle East atlas still for sale online Thursday. 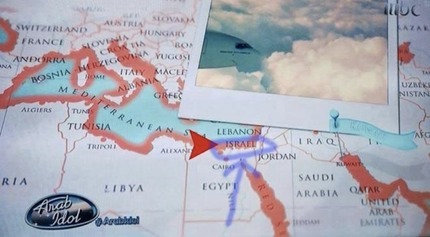 The HarperCollins publishing house apologized for omitting Israel from maps in atlases that it sells to English-speaking schools in the Middle East. 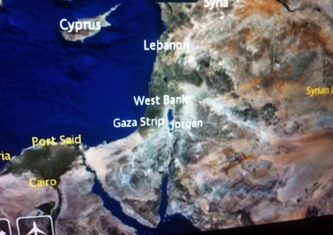 “HarperCollins regrets the omission of the name Israel from their Collins Middle East Atlas. This product has now been removed from sale in all territories and all remaining stock will be pulped. HarperCollins sincerely apologizes for this omission and for any offense caused,” it said in a statement released late Wednesday. Anett Haskia, a Muslim kibbutznik, is a candidate with the right-wing national religious Jewish Home party. An Arab-Israeli Muslim woman is running for a parliament seat as a member of a hard-line religious Jewish party aligned with the West Bank settler movement and opposed to Palestinian independence. The bid by iconoclast Anett Haskia, a 45-year-old hairdresser and mother of three, comes after she gave a series of bombastic television interviews in support of Israel’s military this summer during its war against Hamas in Gaza. Now she is the lone Arab vying for a spot on the Jewish Home party’s list ahead of its January primary. Arab citizens of Israel, who make up 20 percent of the country’s population, strongly identify with Palestinians in the West Bank and Gaza. They generally oppose Israeli military actions, do not serve in the Israeli army and complain of deep-seated discrimination. Haskia’s children, however, voluntarily enlisted in the Israeli army — including one son who served in an elite unit in Gaza during the summer war. Fatah party's official Facebook page features gruesome imagery glorifying murder of Jews in honor of 50th anniversary. The official Facebook page of Palestinian Authority leader Mahmoud Abbas's Fatah party is marking 50 years since the founding of the Arab nationalist group - and in typical style has posted a graphic image glorifying the murder of Israelis in celebration. 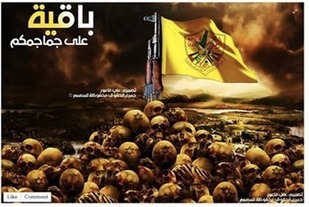 The image posted on the Fatah Party Central Page shows a pile of skulls and bones, topped with a rifle bearing the Fatah flag. Several of the bloodied skulls are marked with stars of David. The caption reads: Fatah will remain, over your skulls. In UNRWA Goes to War, journalist David Bedein shows how UNRWA schools serve the interests of Hamas. But is anyone listening? Teachers at UNRWA summer camps filmed declaring ‘Jews are the wolf,’ telling young campers they will return to Haifa, Jaffa, Acre. Pro-Palestinian activists have launched an online campaign to liken Israel to the terror group Isis (now known as Islamic State), which has caused controversy among Israeli circles. The campaign seeks to compare Israel to IS using the hashtag #JSIL, which stands for the Jewish State of Israel in the Levant. Prominent journalists Max Blumenthal and Rania Khalek, both strong critics of Israeli policy, started the campaign that has now seen the hashtag tweeted more than 16,000 times in the last week. The comparison between Israel and IS is made by the activists following the Gaza conflict, which saw over 2,000 Palestinians die during the Israel Defence Forces' (IDF) Operation Protective Edge. Almost nobody sees that the invention of the "Palestinian people" has transformed millions of Arabs into a genocidal weapon to be used against the Israelis, and even, as in Europe recently, the Jews. Transforming people into a genocidal weapon is a barbaric act. 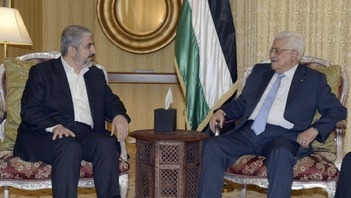 Israel was urged to find ways to coexist peacefully with people who did not want to co-exist with it. Terrorism against Israel fast became acceptable: a "good" terrorism. Hamas's stated aim is the destruction of Israel. Its stated way to achieve this aim is terror attacks, called "armed struggle" by Hamas leaders. To this day the Palestinian Authority has not ceased praising and promoting terrorism. 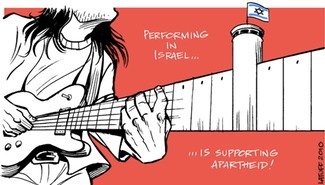 If hatred of Israel is increasing in the U.S., it is largely confined to academics and other extreme radical circles, many of which are funding or receiving funding from Soviet-style agitprop organizations. Journalists are recruited to disseminate descriptions of "facts" as if they were real facts. Pseudo-historians rewrote the history of the Middle East. The falsified version of history replaced history. 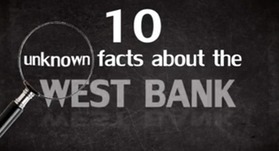 If the West Bank had one quarter of the weapons that the Gaza Strip has, Israel would be eliminated in one day. 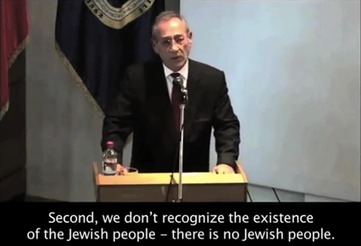 This is what Hamas leader Mahmoud Zahar told worshippers during a sermon he delivered on September 5. Zahar, who, during Israel's Operation Protective Edge, spent his time in hiding, was speaking during Friday prayers at Martyr Abdullah Azzam Mosque in Gaza City. Abdullah Azzam, by the way, was a Palestinian "scholar," teacher and mentor of Osama bin Laden, the slain leader of Al-Qaeda. Azzam was killed in Pakistan in 1989. Back to Zahar, who delivered his first sermon since the Egypt-brokered cease-fire between Hamas and Israel was announced in late August: he chose to remind Palestinians and the rest of the world of his movement's dream to destroy Israel. Israeli filmmaker heads to the West Bank to document what Palestinians think of the Holocaust. The results, unscientific though they were, weren’t especially encouraging. There were three types of answers that surfaced during his interviews: lack of knowledge about the Holocaust, the view that the Holocaust happened but was exaggerated or is what the Israelis are doing to the Palestinians now, or the idea that Adolf Hitler was right for killing Jews. They’re putting their own people in the line of fire — and doing it by the book. The Israeli military said it has captured a Hamas manual on urban warfare — called “Introduction to the City War” — that extols the benefits of civilian deaths and openly admits that Israel tries to avoid them. 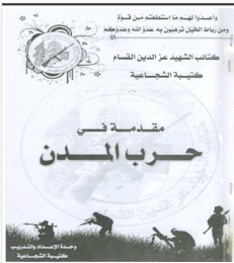 The Israel Defense Forces also said the manual — whose cover shows images of militants wielding rocket-propelled grenades and automatic weapons — crows about the propaganda value of the deaths of innocents. “The destruction of civilian homes: This increases the hatred of the citizens toward the attackers and increases their gathering around [to support] the city defenders,” the manual said, according to the IDF. For their part, higher-ups in the Israeli Police say, ”The decision was made judiciously,” according to Israel’s Channel 2 News. 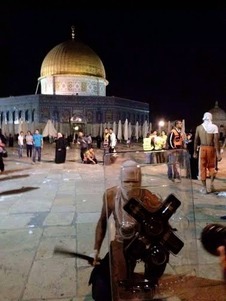 Last Thursday night, Muslims around the world celebrated Layl al-Qadir, indicating the end of Ramadan. 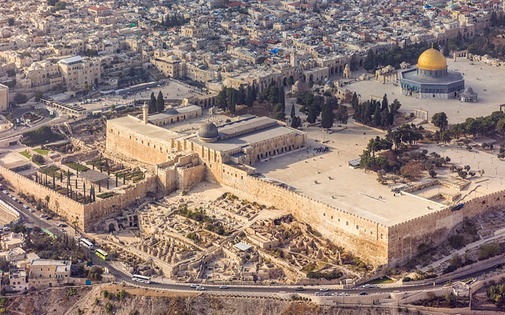 During this period, thousands of Muslims flood the streets of the Old City and the Temple Mount, and the atmosphere can be highly volatile. Sifting through earth removed from holy site gleans rare artifacts going back thousands of years, but Prof. Gabriel Barkay’s methods stir controversy. Danny Glover and others actors featured in a documentary on an American social justice activist have formally protested the imminent screening of the film in Tel Aviv, and announced their support for a cultural and academic boycott of Israel. The film, “American Revolutionary: the Evolution of Grace Lee Boggs,” is due to be screened at the DocAviv festival, which is running through May 17. As you doubtless know, many in Europe loathe the United States. Their invective down the years has been an assault on reason and emotional stability, whether directed against the Vietnam war, the response to 9/11 or to the Iraq war. Yet there is no boycott of the United States. So, despite a hatred for America -- and a perverse love of Iran, Hezbollah, and the PLO -- we come back to the Israeli exception, to the singling out of just one country. However charitable we may try to be, it is hard not to detect the reek of anti-Semitism. Am I being unfair? To people who marched through the streets of European cities chanting, "Hamas, Hamas, Jews to the gas," (and here and here at Dutch football matches) was that just simple folly -- or proof of intention? Survey finds that 150 new Palestinian Authority textbooks continue to delegitimize and demonize Israel, and call for violent struggle instead of peace. The books claim that the Jews have no rights to Israel, including to Jewish holy sites.